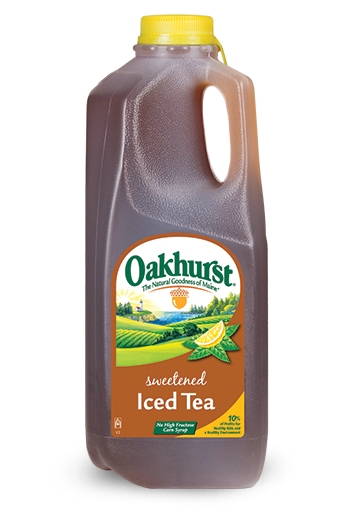 The ultimate after-school snack. 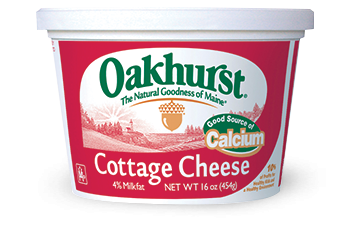 When I was a kid I remember how special it felt to come home from school to a delicious snack that my mom had lovingly prepared for me. She knew I needed replenishment after a busy day of learning and an extra nutritional kick to refuel my body from after-school activities. Today, children have the same needs yet parents are busier than ever. 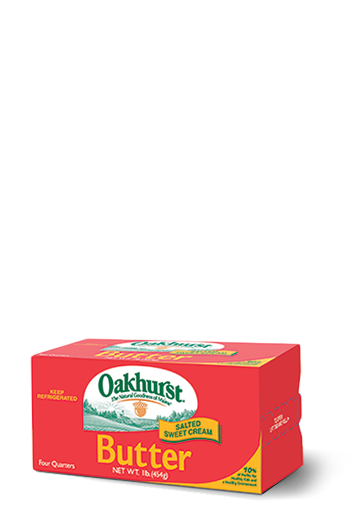 There just isn’t enough time for over-the-top snack and meal preparations, and as a result it’s so easy to be tempted by convenience foods. The thing is we need the convenience, it’s the nutritionally void foods that are usually synonymous with “fast food” that do little for our children’s growing bodies. School and sports take a lot of energy and it’s crucial they get protein and calcium after a day working their bodies and their brains (source). Luckily, it doesn’t have to be all or nothing. 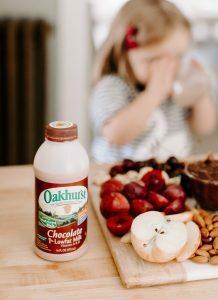 Oakhurst Chocolate Milk “Pudding” provides both nourishment and convenience (not to mention the “yum” factor – even for picky eaters) so that parents have one less thing to worry about. Shh, don’t tell the kids! This recipe isn’t exactly pudding. 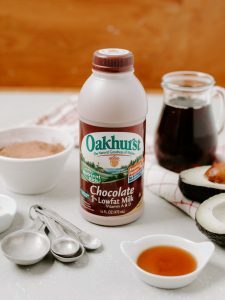 It takes about 5 minutes to prepare and uses protein-rich Oakhurst Chocolate Milk, healthy avocado, yummy maple syrup, and a little cocoa powder! That’s it! I love making this recipe for my daughter because I know for sure she’ll eat it, and it gives her the nourishment she needs to finish her day strong. 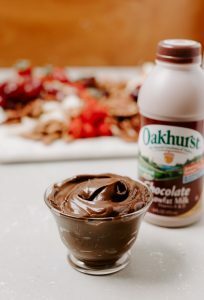 Oakhurst Chocolate Milk “Pudding” has all of the benefits of being a health food with the taste of a store-bought pudding cup. The kids will have fun dipping fruit and nuts, and you’ll have the peace of mind knowing your child is getting the fuel they need. 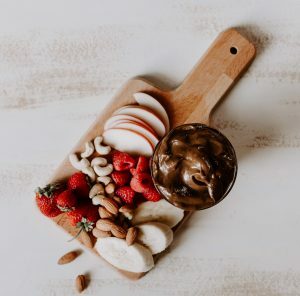 Pack the pudding to-go in plastic or protected glass containers, throw fruit and nuts into a resealable sandwich bag, and pass it off to the kids to enjoy between school and practice! Or, pack it in their lunchboxes for the ultimate parent win. 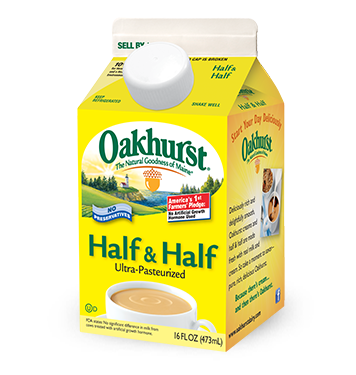 Why reach for Chocolate Milk? 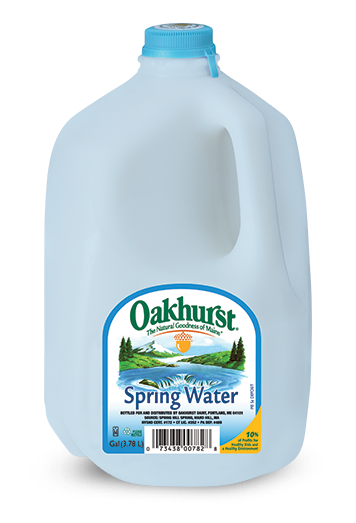 It’s tempting to grab a sports recovery drink in a pinch to help ensure the kids are hydrated after a day full of activities. 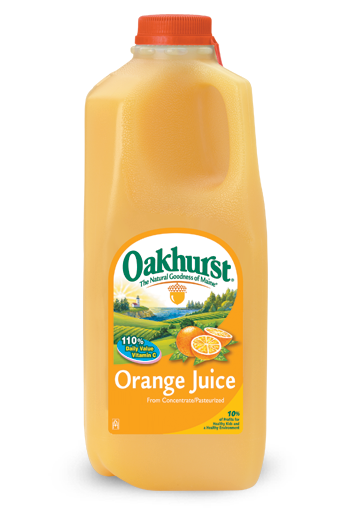 However, protein is necessary for muscle repair and growth (source) and sports drinks don’t contain any protein. 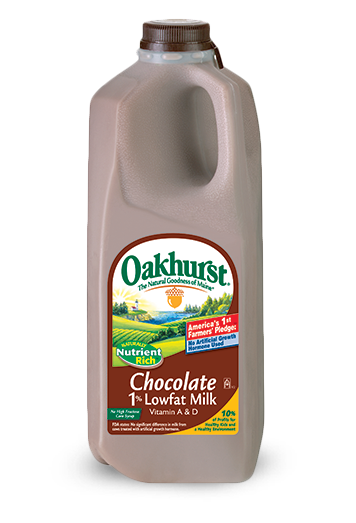 Lowfat chocolate milk contains the right balance of carbs and protein scientifically proven to help refuel muscles (source). 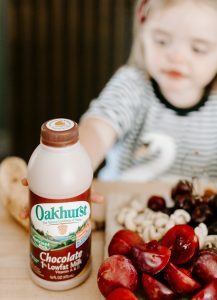 Grabbing an Oakhurst lowfat chocolate milk gives your child the necessary hydration and nutrition, plus it’s produced locally, right here in Maine! -Peanut butter would be a fun addition to change it up! 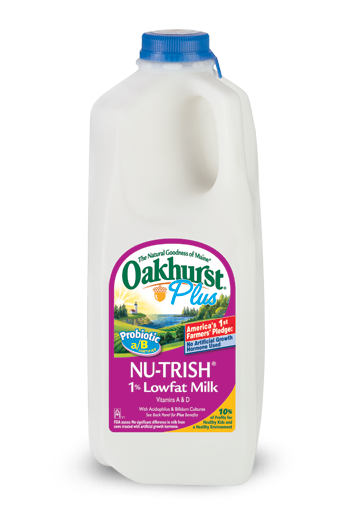 Simply add 1-2 tablespoons of peanut butter or peanut butter powder and add more Oakhurst Chocolate Milk until consistency reaches that of a pudding. -Make sure to use a ripe avocado to ensure a smooth consistency, and zero avocado taste. -I like to make my pudding with a cold avocado so that I can serve it right away without chilling. 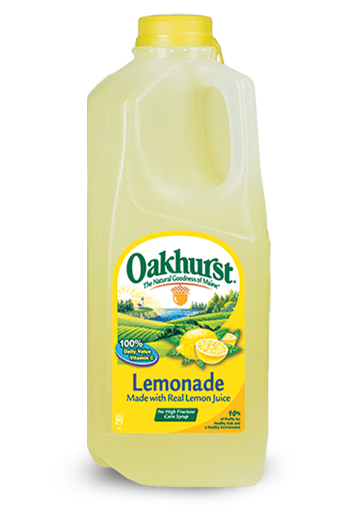 -I never count salt as an ingredient, but I’ve included it below because it helps round out the flavor really nicely. Add a pinch and see what I mean! -I’d argue that any fruit tastes great with chocolate! Feel free to use whatever you have in the house… apples, bananas, strawberries, raspberries, cherries, grapes, stone fruit, dates, etc. -Be sure to cut any large fruit into slices and keep small fruit whole for easy dipping! 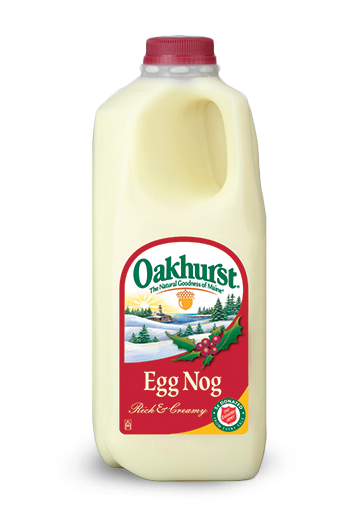 -Use almonds, cashews, pecans and/or walnuts, or whatever you have in the house. If your child has a tree nut or peanut allergy, don’t fret! Your family can enjoy this recipe nut-free. In a food processor or blender, mix together all of the pudding ingredients for about 3 minutes, stopping half way through to scrape down the sides of the container. Pudding should be completely smooth. Taste and sprinkle in more cocoa powder if needed. 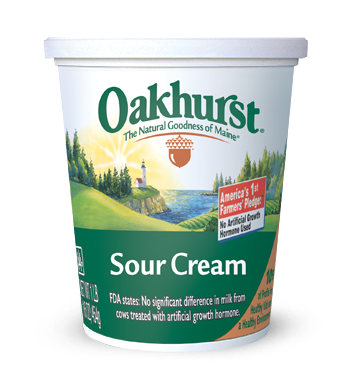 Store in an airtight container in the refrigerator or serve immediately with dippers!